Plot: After working as a drug courier and getting into a brutal shootout with police, a former boxer finds himself at the mercy of his enemies as they force him to instigate violent acts that turn the prison he resides in into a battleground. But no trailer music please, jarring.. It was pretty good. Not as good as shot caller, better than Bone Tomahawk. That music is from the movie's actual soundtrack. It's basically a 70s blaxplotation movie with the races reversed: the white protagonist goes around beating up minorities and I loved it. Only saw this yesterday, its entertaining for sure. Thanks for pointing this out. Loved it. Made perfect sense after reading this, as a decision for the trailer. Add another strong recommend to the above pile. 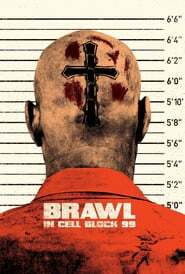 Going to try to check out Bronson in light of seeing Cell Block 99.